Question: How can I obtain the assistance I need with my association’s tasks in getting things done? Answer: Managers have the ability to build a strong team and count on an array of talented and skilled people to call on to get the job done. Good managers can delegate effectively and can truly succeed at it through proper delegation. It is critical that in our role as managers we have the ability to communicate new assignments and tasks to our team and or committees. We must communicate and present specific directions, deadlines, and/or timelines. Stick to a plan for following up and following through on the employee’s performance. Timing is critical. Give the employee a timeframe for getting the job done is essential. Deadlines will assist in monitoring their progress. How will performance of the task be measured? Does it require additional training? How many work hours should it take? Does the employee have time to take on more work? Will it take away from their regular work load? Explain why you need the help and why you have chosen this team member. Identify the scope, expectations, goals, and importance of the task. Be specific as to what you are asking and what you are expecting. Note the benefits and why you need their assistance. Request that the individuals meet with you periodically and report on their progress. Encourage team spirit, follow up, and feedback. If you cannot control it, do not delegate it! Make sure to transfer your authority if you are assigning tasks that you would usually perform yourself. Identify to your board of directors that you have authorized a team member or committee members to request or collect information. Send an email to the individuals whom you wish to assign the tasks, copy the board, and include it in your weekly management report for everyone to be on the same page. Once completed, recognize the individual’s accomplishments and include a photo of them in your report and/or newsletter! An association’s most valuable resource is its people. By empowering the people and the individuals who perform delegated jobs with the authority to manage those jobs, managers free themselves to manage more effectively. committee. Communities that have established committees may wish to participate and take on certain tasks that have been assigned by the board. Be sure to communicate with them and request that they provide a report or summary of their tasks. For instance, if the association is seeking to remodel the lobby or perform renovations, request that the Design, Beautification, or Decorating Committee research neighboring associations and schedule visits to those buildings that recently performed renovations. This will assist you in getting their “buy-in” and facilitate the task. Many attitudes and beliefs of managers affect their ability to delegate effectively. Which of these apply to you? Find it difficult to delegate and afraid of giving up control. Lose control and dump everything on everyone else. Unaware of your ability to delegate effectively. Aware that you need to increase delegation but need to develop your skills. Have a vision and take pride in your position as a manager and groom your employees. Feel that you are very effective in getting your staff fully engaged in assisting and achieving the association’s goals; however, don’t take advantage of the capabilities of the staff regularly and consistently. Fear of being out-shined by subordinates. Feel that delegating is not worth your time—think that you can do it faster and better. Are unwilling to take the risk of letting employees make decisions and of being held accountable for their decisions. Is there someone else who has the expertise to follow through with this task? Is this something that someone else can do, or is it essential that I do this myself? Does this task provide an opportunity for an employee to grow and develop their skills? Do I have enough time to delegate this task effectively by providing the time to check the progress, be available for questions, and reevaluate if required? If you answered yes to at least 2 out of the 4 questions, then you may wish to consider delegating the task. It is impossible for managers to be everywhere in a community and to oversee every aspect of the association. We are tasked with so many responsibilities and are approached on a daily basis with new ideas, projects, and assignments. Decide when and what to delegate. Take the initiative and assign the task. For successful delegation, you will need to understand how to get your team members to perform and take pride in following through with the task. Think of tasks that will add variety and excitement to the employee’s job. Carefully select the right team member whose skills are matched with the needs of the task. Assess the employee’s capabilities and potential. How independent is the team member? What are his or her long-term goals and interests? Define and outline the objectives in order for that person to have a sense of ownership. These challenges will also develop future leaders and maximize the talents and potential of your team members. Assign administrative tasks, such as developing an orientation package, hurricane manual, or checklists to your office administrator. A Preventative Maintenance Manual or Emergency Preparedness Plan can be assigned to your Chief Engineer. Stuff envelopes, retype, and revise a document—assign to the midnight shift at Front Desk or the Receiving Clerk that has significant down time. Provide support to the team members and build motivation. Is the team member challenged? Ask your team members what they would like to take on in the future. The better the match between the delegated task and the employee’s strengths and interests, the more likely the task will get done. Focus on the end result. Items that necessitate your personal expertise such as reviewing the association documents. Delegation encourages self-esteem. Be receptive to new ideas. Review the final outcome of the assignment and provide constructive ideas and positive feedback. Delegating is a great way to get things done. Improving your coaching and mentoring skills while developing and motivating your team will result in greater productivity and performance for your community! I hope this note finds you well! I have a question as I don’t understand the phrase “documents are silent.” Is there a simple definition? Thank you! When the documents are silent, it simply means they do not speak to or address a particular topic. In that case, you would use whatever the statutes say. For instance, if your bylaws do not say what the vote of the owners is to amend itself, the statute says what the vote of the membership should be to pass an amendment. Our HOA is having a problem with homeowners not wanting to sign a form stating that to be a candidate for the board, they must have read both the condominium documents and Statute 718. I know they have 90 days after they are elected to read these. We’re being told by homeowners that there is no such law. Please clarify. Here is the language from Chapter 718—it reads the same for Chapter 720 and Chapter 719. A candidate does not have to sign it in order to run for the board, but he or she does have to take a class or self-certify within 90 days of the election or appointment. The self-certification form does not have the signer attest to having read Chapter 718. 718.112(2)(4)(d) b. Within 90 days after being elected or appointed to the board of an association of a residential condominium, each newly elected or appointed director shall certify in writing to the secretary of the association that he or she has read the association’s declaration of condominium, articles of incorporation, bylaws, and current written policies; that he or she will work to uphold such documents and policies to the best of his or her ability; and that he or she will faithfully discharge his or her fiduciary responsibility to the association’s members. In lieu of this written certification, within 90 days after being elected or appointed to the board, the newly elected or appointed director may submit a certificate of having satisfactorily completed the educational curriculum administered by a division-approved condominium education provider within 1 year before or 90 days after the date of election or appointment. The written certification or educational certificate is valid and does not have to be resubmitted as long as the director serves on the board without interruption. A director of an association of a residential condominium who fails to timely file the written certification or educational certificate is suspended from service on the board until he or she complies with this sub-subparagraph. The board may temporarily fill the vacancy during the period of suspension. The secretary shall cause the association to retain a director’s written certification or educational certificate for inspection by the members for 5 years after a director’s election or the duration of the director’s uninterrupted tenure, whichever is longer. Failure to have such written certification or educational certificate on file does not affect the validity of any board action. Our community has had three sinkholes open in an adjacent neighborhood that have caused a large volume of water from that neighborhood’s stormwater retention area to drain through the sinkhole and under our homes adjacent to this area. The issue only affects a few homes in part of our subdivision. The city says this is a civil matter because the sinkhole is on private property. Is this an issue to be addressed by our HOA board or by the individual homeowners affected by the issue? I would think it is an issue for both the HOA and the affected homeowners. Both insurance companies should be alerted, and you should consider consulting an attorney. What are two or three issues facing community association managers in 2019? One of the primary challenges that CAMs are facing more than ever is that the industry is becoming more heavily regulated each year. Obviously, this can be progressive for community associations because stricter regulations can fuel consistency in the application of laws and declaratory requirements. However, these increasing regulations also enhance accountability for CAMs. So, CAMs are tasked with remaining attentive to evolving statutes and modern business practices. Why did you decide to become a CAM? I was intrigued by the diversity that being a CAM has to offer. By working in the community association industry, you have the opportunity to interact with various professions such as attorneys, accountants, engineers, architects, developers, realtors, business owners, etc. 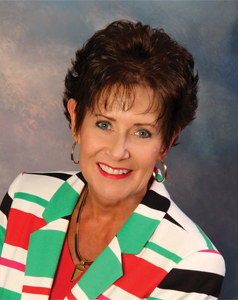 I find it very stimulating being exposed to so many areas within the business world. What led to your decision to pursue the CFCAM designation? I enjoy being a student and the process of building knowledge. 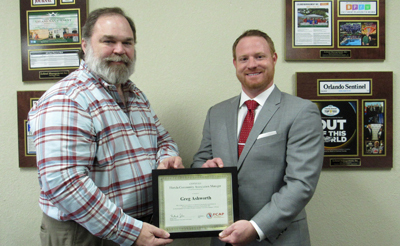 Broadening my knowledge within the community association industry provides me the tools to better serve our customers and be a more productive member of our team. The most rewarding aspect of my job is seeing other members on my team achieve their career goals. Whether those goals are to attain certifications within the industry, achieve promotions, or become better leaders for their community associations, those are all very rewarding for me. I have been fortunate to have many mentors who have inspired me throughout my career. However, if I had to narrow it down to a single person who has influenced me the most throughout my life, it would be my late grandfather. He was a great leader, loyal husband, and loving father. His example has been instrumental for me throughout my life and has motivated me tremendously throughout my career. I enjoy spending my free time with my wife (Jessica) and two sons (Gavin and Bowen). We enjoy a fun day playing or watching football, swimming in the pool, or spending a day at the park. We take a team member approach to our legal representation. We are not just your legal representative; we are a team player along with the board of directors, management, insurance agent, and accountant. The Law Offices of Dania S. Fernandez & Associates P.A. is well known for their experience in handling legal matters involving condominiums and homeowner associations, real estate litigation and transactions (commercial and residential closings), and insurance claim work (plaintiff) within Florida. 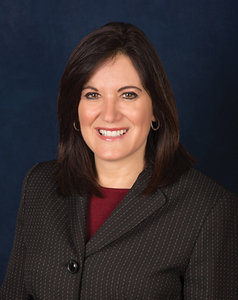 The firm was first established by Dania S. Fernandez in the year 2000. No matter the type of case—community association law, real estate law, or insurance—we are dedicated to the best result while looking out for the interests of our clients. For more information on Dania S. Fernandez & Associates P.A., visit www.daniafernandez.com or contact us at (305) 254-4492 to inquire about our legal services for associations. 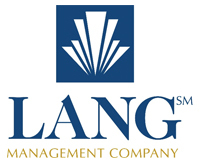 For more information on Lang Management, call (561) 750-8800 or visit www.langmgmt.com. Swaysland Professional Engineering Consultants Inc. was established in 1990 to assist property managers, associations, and contractors in the solution of a wide variety of building construction and maintenance problems. We are experts in concrete restoration, roofing, painting, waterproofing, window/door replacement, structural engineering, civil engineering, paving and drainage, and 40/50-year building recertification. We are licensed structural/civil engineers and special/threshold inspectors in the State of Florida. We have extensive experience in forensic engineering, trouble shooting, and solving the concrete deterioration, roofing, and waterproofing problems experienced by South Florida buildings. We possess the “people skills” necessary to keep the construction team (association, property manager, contractor and engineer) working together towards the common goal of a successful repair project. For more information on Swaysland Professional Engineering Consultants, call (888) 264-7732 or visit www.specengineering.net.